Navratri 8th Day Maha Ashtami Durgashtami Maa Mahagauri Puja Timing: Maa Durga’s eighth manifestation is worshipped on this day of Mahashtami also known as Durga Ashtami. It is the second day of Durga Puja / Pooja. Its celebrations start with Mahasnan and Shodashopachar Puja. This day is similar to Maha Saptami except for Prana Pratishtha custom. On the occasion of Mahashtami, it is a custom to make small pots along with 9 shaktis of Durga Goddess. All the forms of Durga are worshipped in this pooja. It is a custom to worship the young unmarried girls treating them as if they are Durga. It is known as Kumari Puja and performed in many regions of India. It is done on a single day only. check: Navratri Colours 2018. 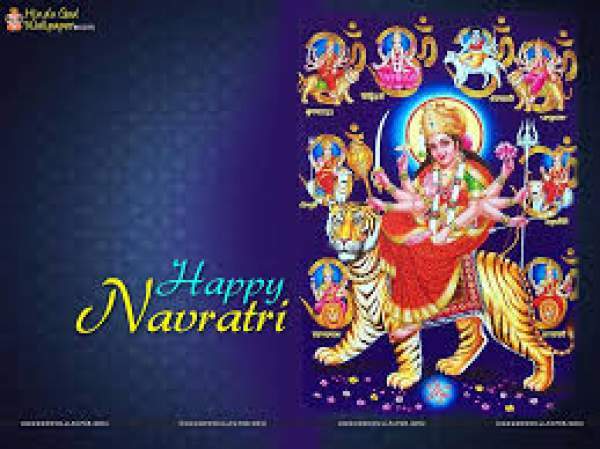 Maha Gauri worship is done on the eighth day during navratrae. The Hindu mythology states that Shailputri devi was extremely beautiful and has a nice personality with appearances at just the age of 16. Thus, due to her beauty and a fair complexion and small age, this day came into existence. She is even compared with the conch, the moon, and the white flowers of Kunda. She is always donned in white clothes. That’s why is also known as Shwetambardhara. She possesses the power to fulfill the needs of devotees and needy persons. The devotees and the persons who worship her are said to be get relief and his/her sufferings end. She is always depicted as having four arms. Each one representing some thing. Right arm depicts allaying fear whereas right lower hand holds trident. A tambourine is placed in her left upper arm while the lower left shows her giving blessings. Governing Planet – Rahu is governed by Goddess Mahagauri. Let us celebrate the victory of good over evil, The victory of humanity, The victory of justice, The victory of truth. Wish you a very Happy maha Ashtami 2018. May maa Durga shower her choicest blessings on you now and always. Happy Maha Ashtami! This Durga Ashtami, may you be blessed with good fortune as long as Ganeshji’s trunk, wealth and prosperity as big as his stomach, happiness as sweet as his ladoos and may your trouble be as small as his mouse. Happy Durga Ashtami 2018! Stay tuned with us for further news and updates.